Ambient Music Video to promote the Consciousness Music Project New Earth Rising – Dolphin Dreaming. 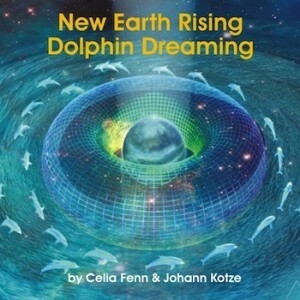 Dolphin Dreaming facilitates the activation of the “Dream” of a New Earth. The Dolphins “dream” or create Holographically on the Higher Consciousness Matrix through Sound. Edit by Johann Kotze, video source material from the documentary Deep Blue (2010). Want to use Being Ambient Music for your production? Get the Free Download Meditation Activations to assist with planetary shift into Higher Consciousness. Find links to the Dolphin Dreaming Project and Portals of Light for Transformation for articles, music videos and video interviews on Dolphin Dreaming and Consciousness Music with Johann and Celia.